Hello and Happy Dec. 17th to you! A wee fellow of about 6.5" from heel to tail top. 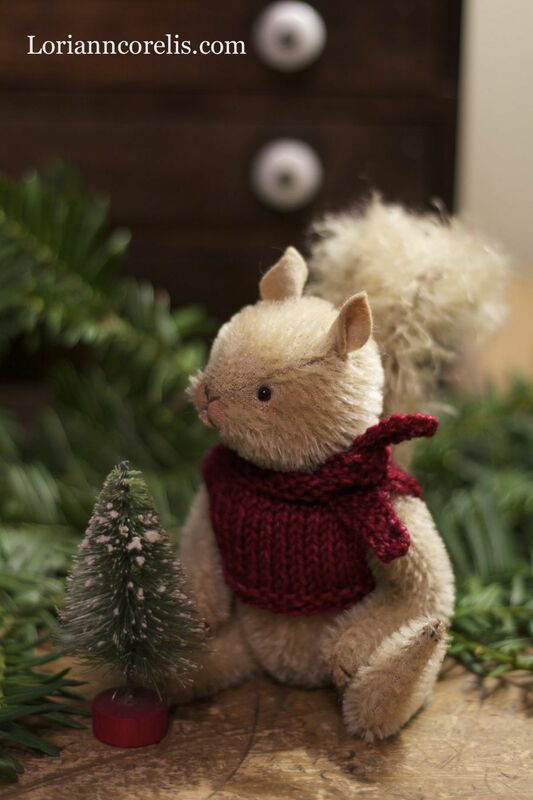 He wears a sweet hand knitted jumper and scarf. A wee antique feather tree will accompany him! 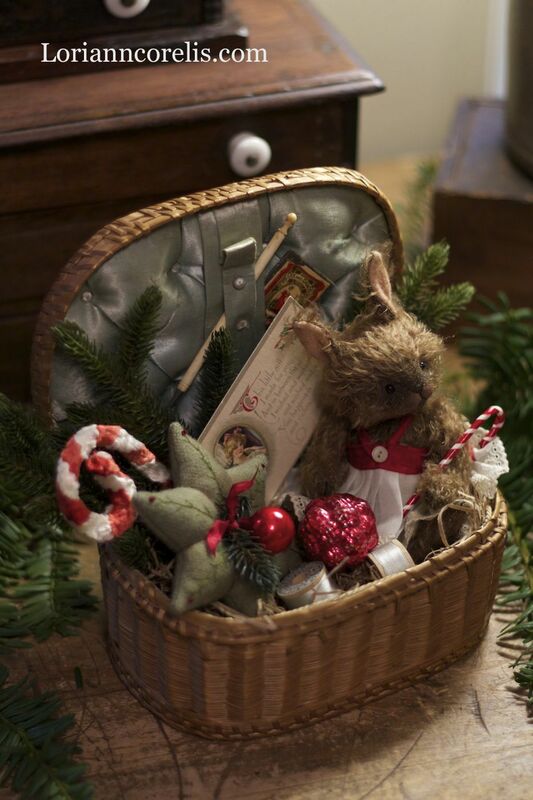 tu tu dressed bunny, woolen pin keep and antique bits. The perfect sentiment for a sewing basket yes? pin keep. (Reminds me of a plum pudding' ). Trimmed in vintage chenille and antique holly leaves front and back! 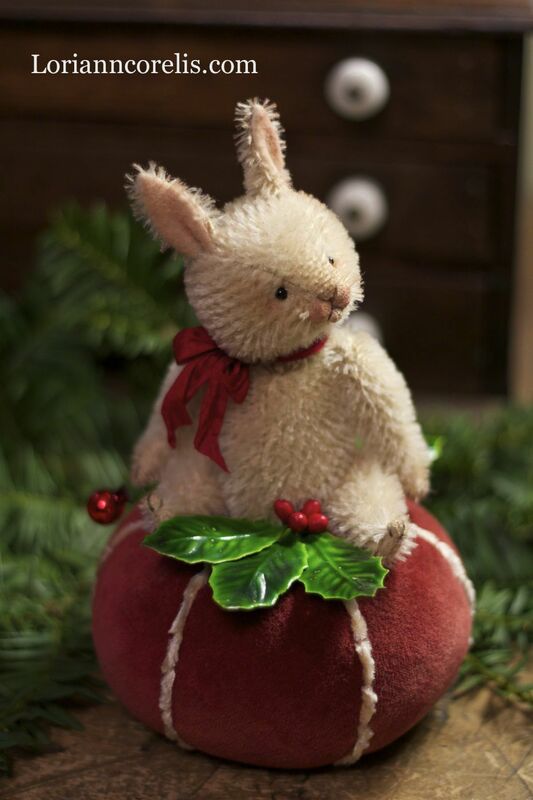 Bunny holds a wee antique ornament and wears a silk ribbon. Lori, your little bunnies are beautiful. I love the detail and your skill stands out a mile. Merry Christmas to you and all those you love.